The premier global gathering of the real estate tech community. Pre-vetted audience of top government, business, investor, and technology minds from around the world. Direct access to founders of proven and industry-changing real estate technologies, products and services. Panels, roundtable discussions, demos, networking, education sessions and more, hosted by market leaders and disruptors. From commercial and residential to parking, warehouse, leisure, special use and everything in between.
" The investors, strategics, entrepreneurs, and industry leaders are so engaged in all of the events. It's like the Davos of Real Estate Tech. " From panels and roundtables to startup demos and professional education sessions, expect a jam-packed week facilitating a volume of activities that is unparalleled. MIPIM PropTech NYC, the world’s leading real estate technology event, will take place on November, 6 2018 at the Metropolitan Pavilion. 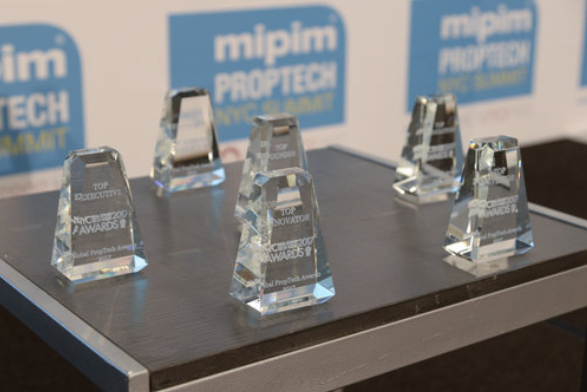 MIPIM PropTech NYC unites key real estate decision makers from all sectors to connect with the most innovative startups and technology companies to take their business to the next level, building the future of Real Estate. MIPIM PropTech NYC will also host the North American leg of the MIPIM Global Startup Competition 2019, which concludes March 2019 in Cannes, France. Want to be at the cutting edge of PropTech? Learn how PropTech shapes the future of real estate and how the industry is ready to embrace it. Gain insight into the latest trends, new business opportunities, investment sources, new players and disrupting solutions. Join a unique opportunity to hear real estate industry leaders share their vision on the real estate market. Looking for funding and investment? The first leg of a worldwide roadshow with stops in NY, London and HK, provides a unique opportunity for startups to meet with relevant key players. Get a chance to qualify for the Finals at MIPIM in Cannes in front of 23,000 industry leaders! Ready to feature your latest innovative products? Promote your most impressive technologies and innovative solutions that are shaking up the real estate industry market. Open to easy going business meetings? A laid-back approach to business. Meet participants over breaks, lunches and cocktails to connect and create new sources of growth. Ready to meet your future business partners? Interested in attending in 2018? that have gone above and beyond to positively impact next generation PropTech. NYC Real Estate Tech Week’s flagship event, MIPIM PropTech NYC. The global hub of the PropTech community.